Readers, recently I’ve been enjoying entering lots of online challenges for bloggers. Not only is it great to see what the other foodies in the world have been up to, it’s also given me some focus with my bakes. Rather than random musings, I’m baking themed items, experimenting with savoury products and enjoying focussing myself in the kitchen. I’m really enjoying the #teatimetreats challenge, hosted alternate months at either Hedge Combers or Lavender and Lovage as it’s very relevant to the cake ideas I have in my head. This month’s theme is jams, preserves and curds which I enjoy baking with anyway. Extremely versatile and suitable for more than just toast! This time round, I decided to work with lemon curd, as it’s a very quintessentially British product, gives a great, intense flavour and is traditionally served with tea time treats. Perfect for this challenge. Preheat the oven to 190c/ Fan 170c/ Gas 5. Fill a muffin tin with 12 large cupcake cases. Cream together the butter and sugar until pale and creamy. Grate in the lemon zest and add in the lemon juice. Mix to combine. (An electric mixer makes this job much quicker). 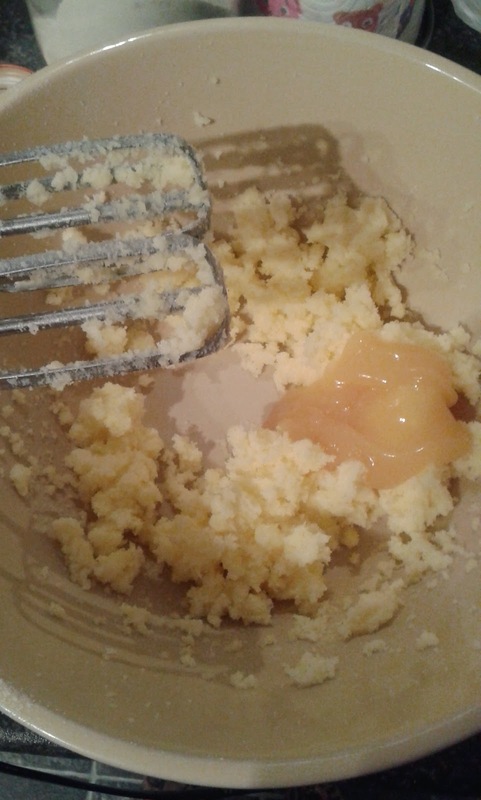 Add in a heaped dessert spoon of Mackays Lemon Curd and mix with the electric mixer. Add the eggs one at time, adding a teaspoon of flour to prevent curdling. Beat the mix together as you add each egg, until the mix is combined. Sift in the flour and using and electric hand mixer, continue to beat the mix for a couple of minutes until fully combined and fluffy. Spoon the mix into the paper cases, to around ¾ full and bake for around 18 minutes until golden on top. Cakes are ready when a skewer is inserted and comes out clean. 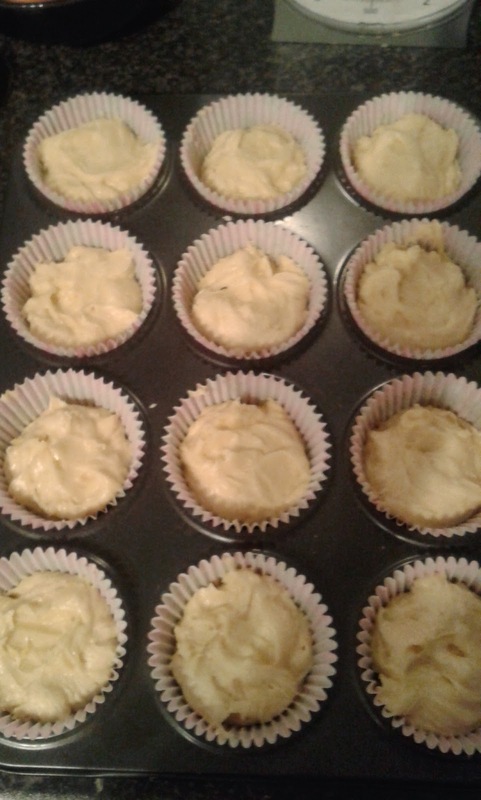 Remove from oven, remove from muffin tin and allow to fully cool on a wire rack. Beat the butter in a clean bowl with an electric mixer until soft and lighter in colour. 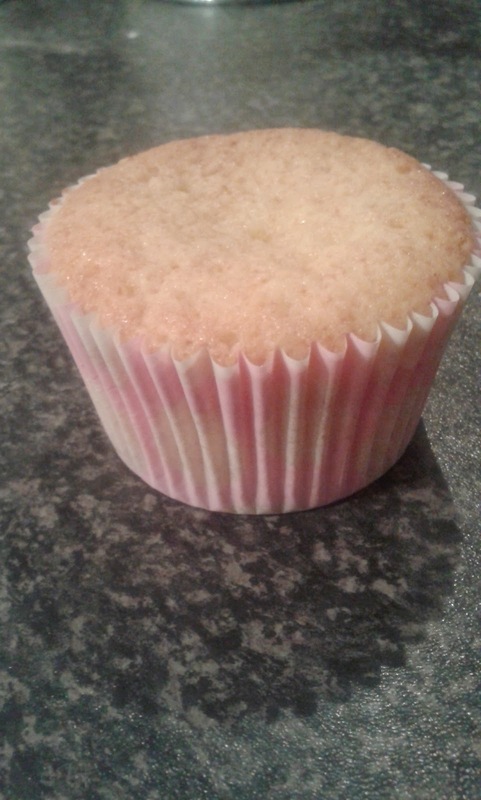 Slowly add in the lemon drizzle icing sugar and mix to combine fully. Then add in the rest of the icing sugar and beat until all the icing sugar in incorporated and a smooth buttercream is formed. Add in the juice of half a lemon and beat to combine. 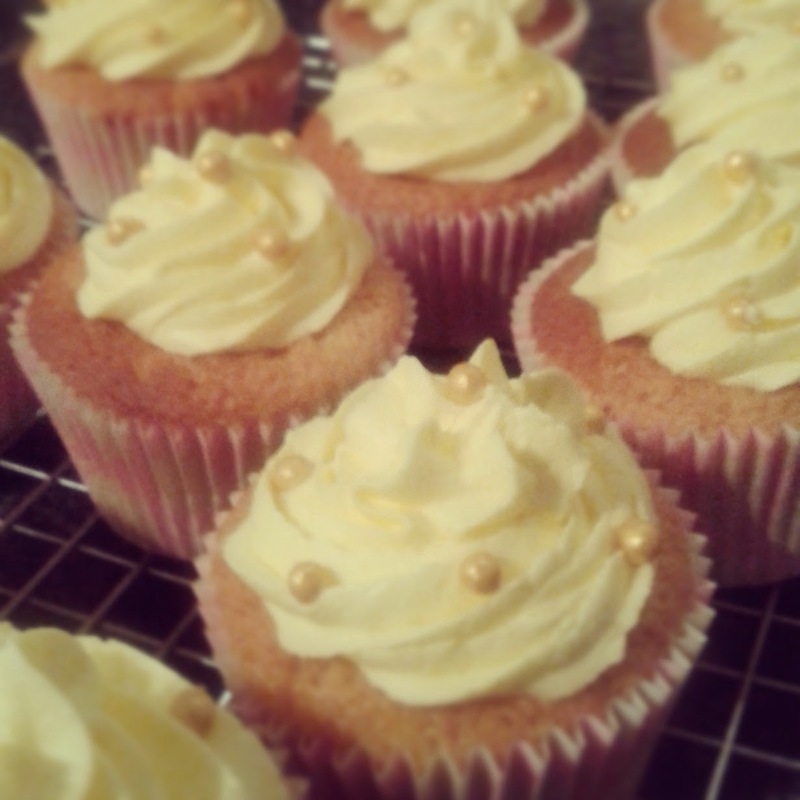 If desired, add in yellow food colouring, to create a pale yellow icing. Transfer to a piping bag with nozzle and pipe swirls on top of each cake. Finish with gold pearls or other matching decorations. Lavender and Lovage, with the theme jams, preserves and curds. Thank you Karen. I am really enjoying the Tea Time Treats challenges. These look (and sound) amazing. I looooove lemon curd and frequently put it in yoghurt as a little treat. Thank you so much! 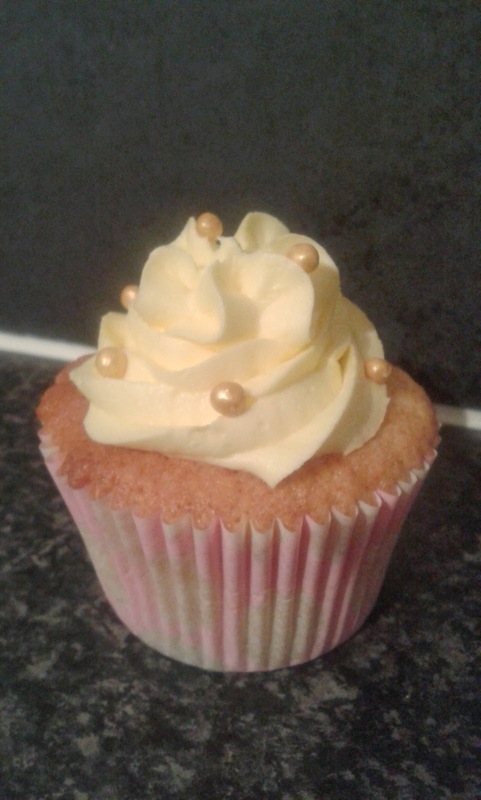 I am tempted to try an orange curd version next! 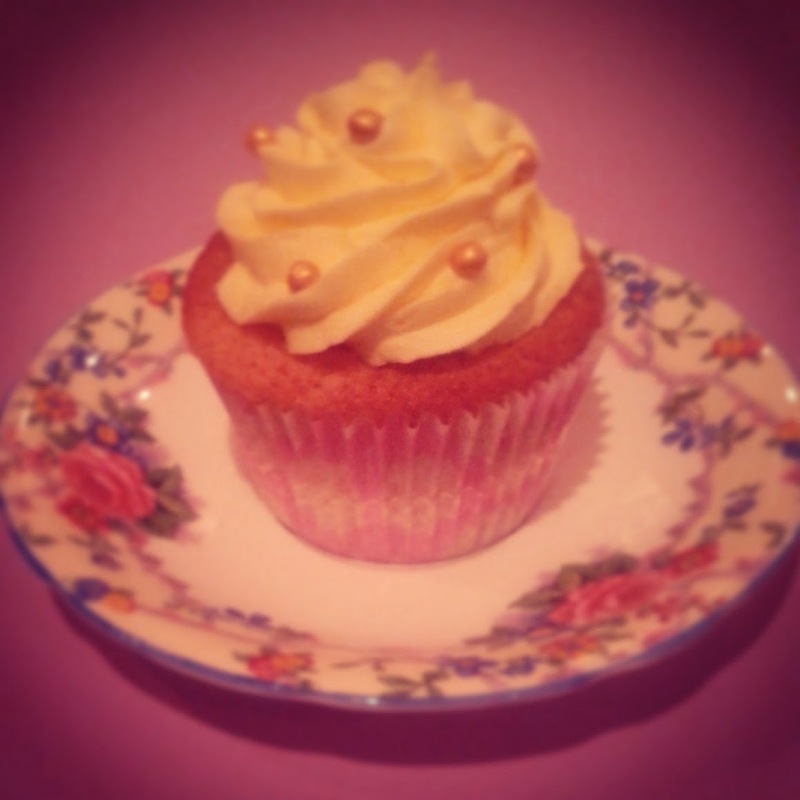 I love lemon curd and I love cake so its only right they should be combined together, they look fabulous! Thank you Angela. They didn't last long! I'm Claire, food, travel and lifestyle blogger. Open to PR assignments, reviews and testing! All blog content and imagery copyright What Claire Did 2018. Watermark theme. Theme images by andynwt. Powered by Blogger.